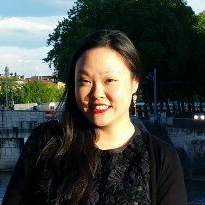 One of our aunts has been living in Bucheon for many years, and because of the close proximity to Seoul, it was the ideal location to travel to and from Seoul. 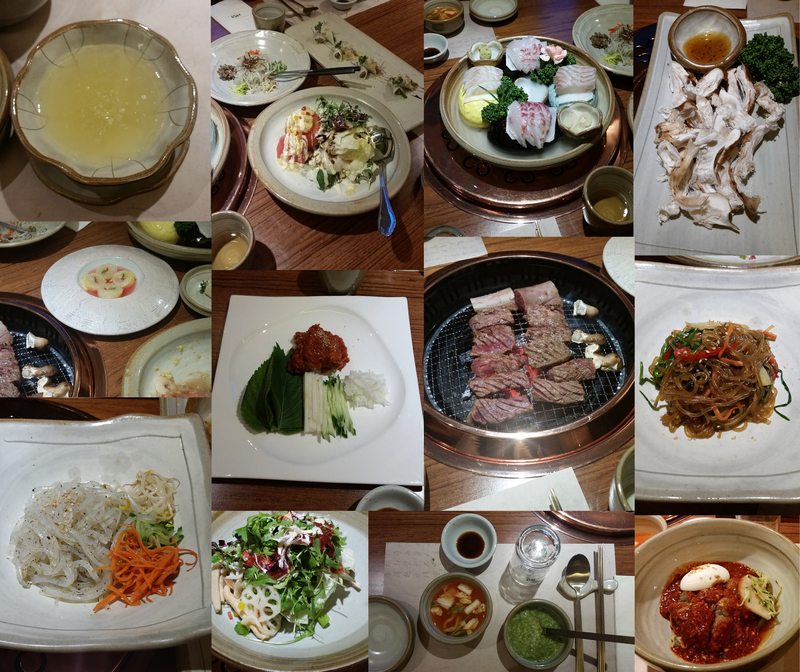 The first evening, the cousins, their spouses, the kids, my aunt, and all of us (eleven of us, collectively) went out to eat a delicious meal at Gyeongbokgung Restaurant in Bupyeong District, Incheon. It was a set menu with multiple courses. 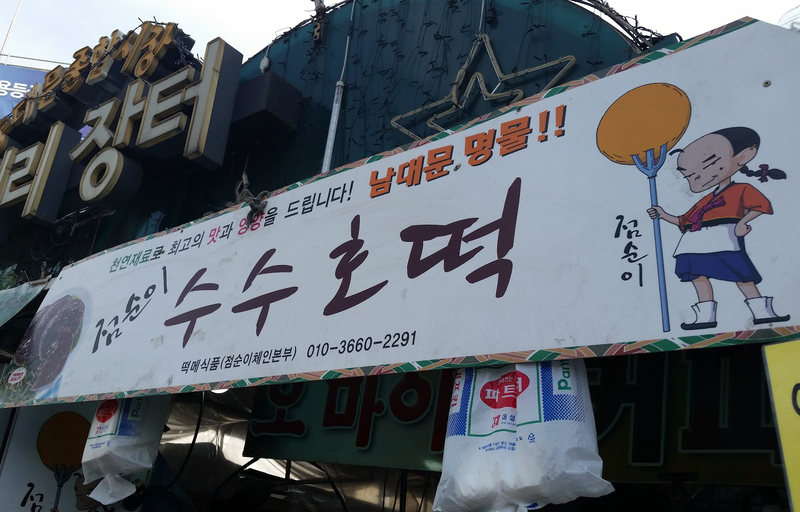 Their main dish is their grilled short ribs, but there were a bunch of salads, seasoned cold noodles, saengseon-hoe (생선회 – raw fish, sashimi), rice, and mushrooms to share! Here was our dinner set at Gyeongbokgung Restaurant. We finished the meal with a chilled yuzu tea. 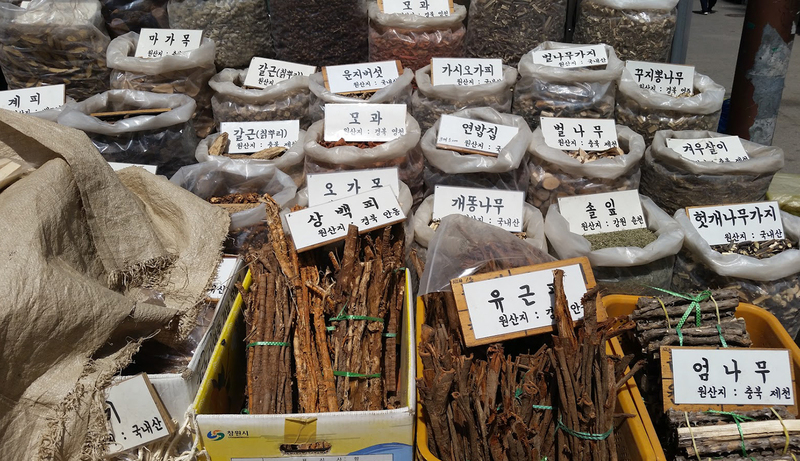 The following morning, we set out on our first adventure into Seoul, to pick up some Chinese herbal medicine from Gyeongdong Shijang (경동시장), a massive area dotted with over a thousand shops! 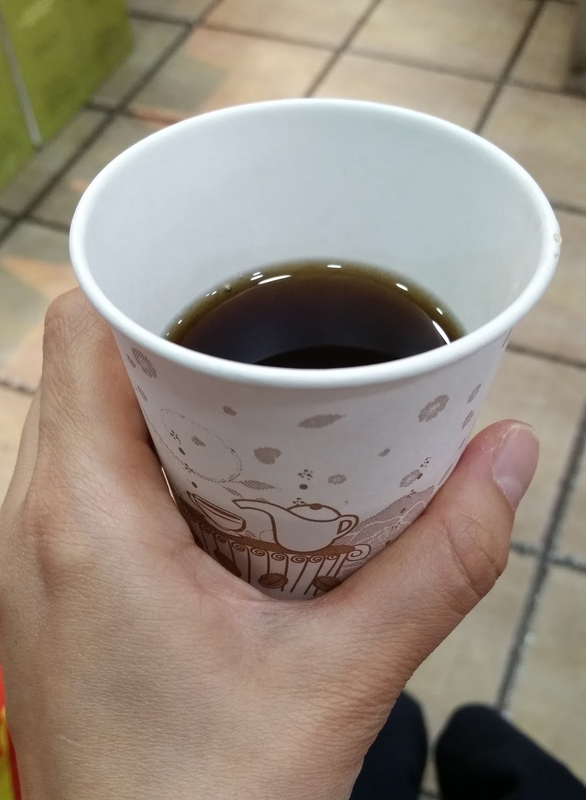 We walked into one, and as they asked us to sit, they handed each of us a cup of herbal tea. I hadn’t experienced anything like it, an entire area dedicated to just selling herbal ingredients and Eastern medical care. As we got our necessary herbs, we exited the store; but before leaving the area, we took a few photos of what we got to see. One of many entrances into the Herbal Market. 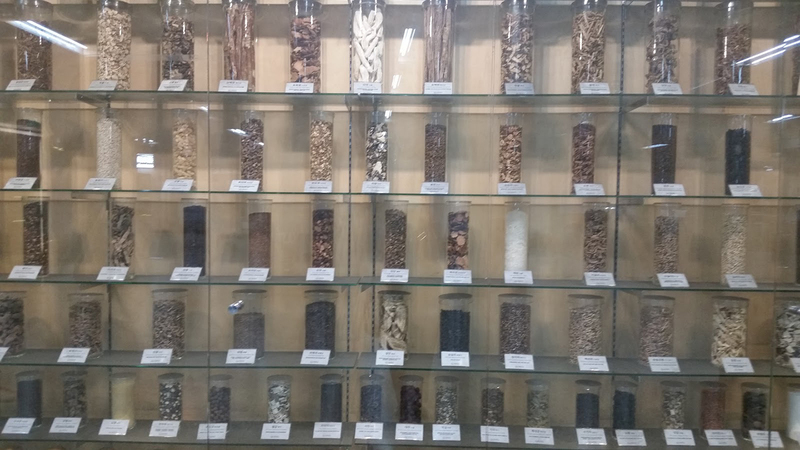 A storefront with dried herbs. 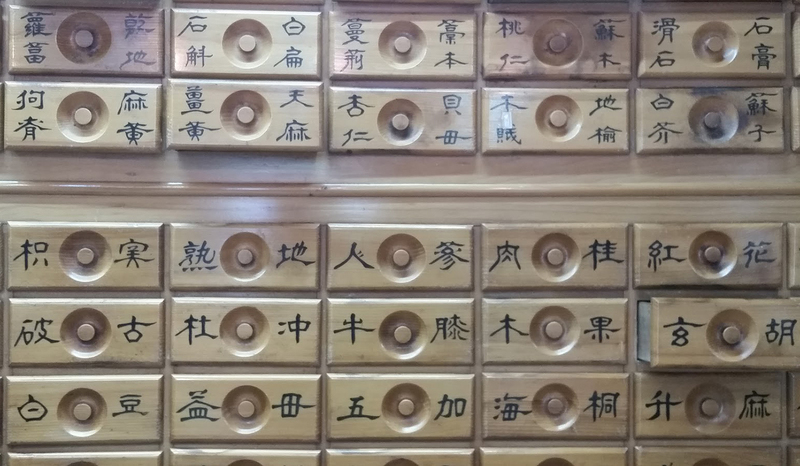 Drawers filled with herbal ingredients. Our tea that had strong ginseng and jujube flavors. 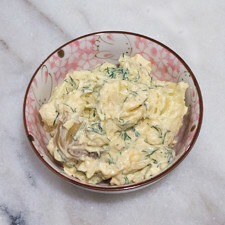 We’re pretty sure it also had another dozen different herbs. It was a nice pick-me-up after our breakfast. We hopped back on the subway to continue our adventure, going two stops west to Dongdaemun (동대문) Station. 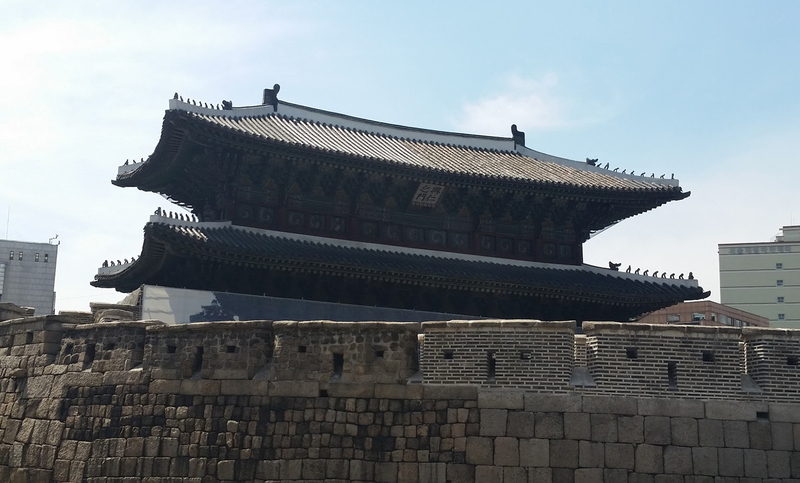 We were lucky to have left the station from exit 6, to encounter this amazing gate called Heunginjimun (It’s more commonly known as Dongdaemun, the “Great East Gate”.). We stood here for awhile, taking photos of the structure and group selfies! 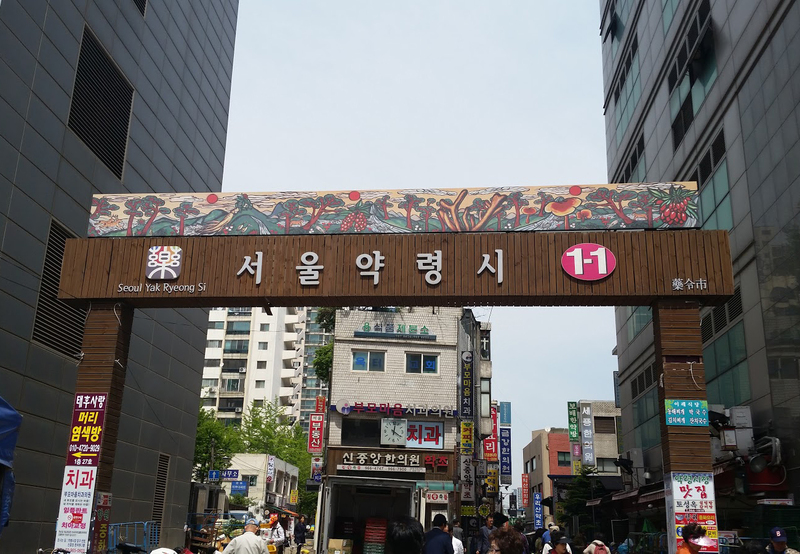 Afterwards, we walked over to the famous market (동대문 시장) to do some clothes and cosmetics shopping, and lots of eating. 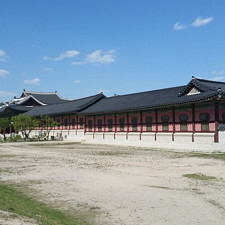 the first King of the Joseon Dynasty, in 1398. The current gate was rebuilt in 1869. 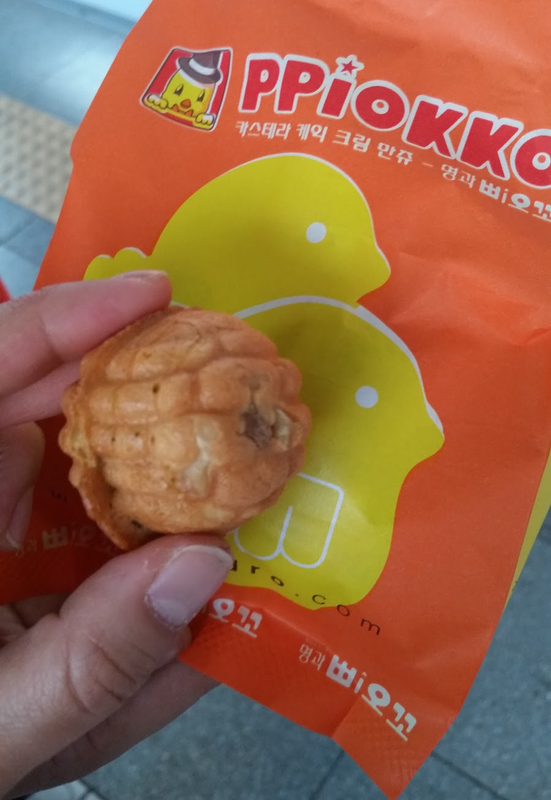 We found some more boonguh bbang (붕어빵), the fish-shaped, pancake-like snacks. 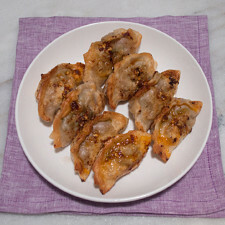 These are filled with a bunch of different kinds of fillings. 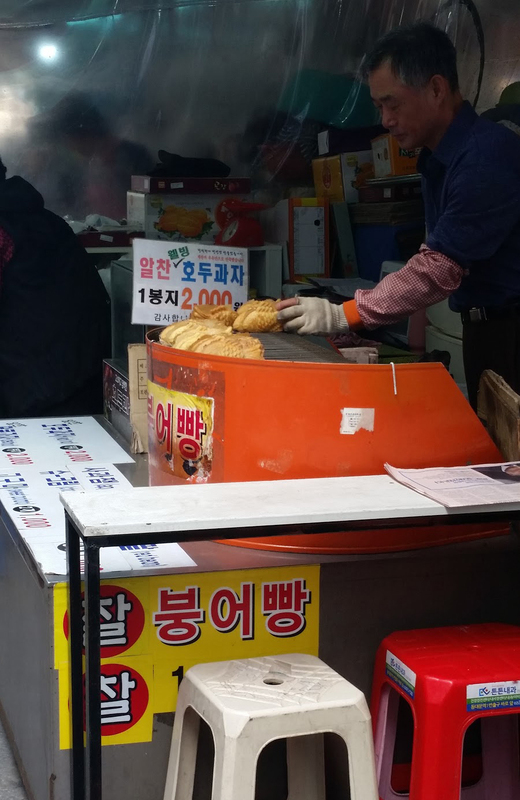 He was also selling some walnut cake snacks, which is a common street snack in Korea. Here are some savory pancakes. This was our lunch! 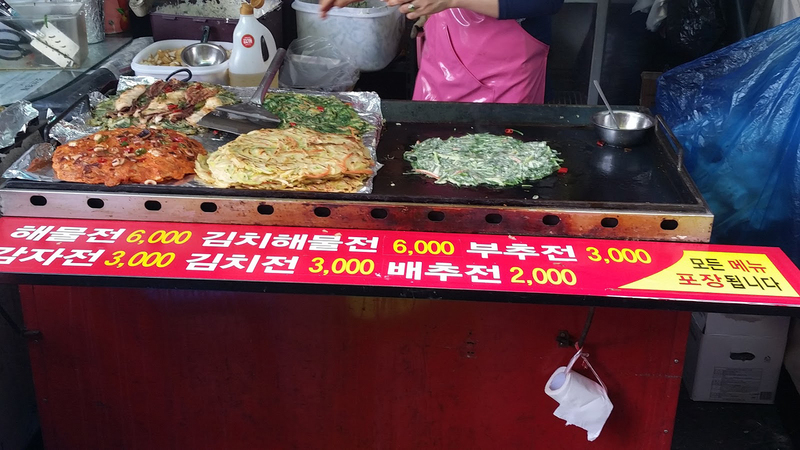 We decided to get some mixed vegetable and some chive jeon (전). 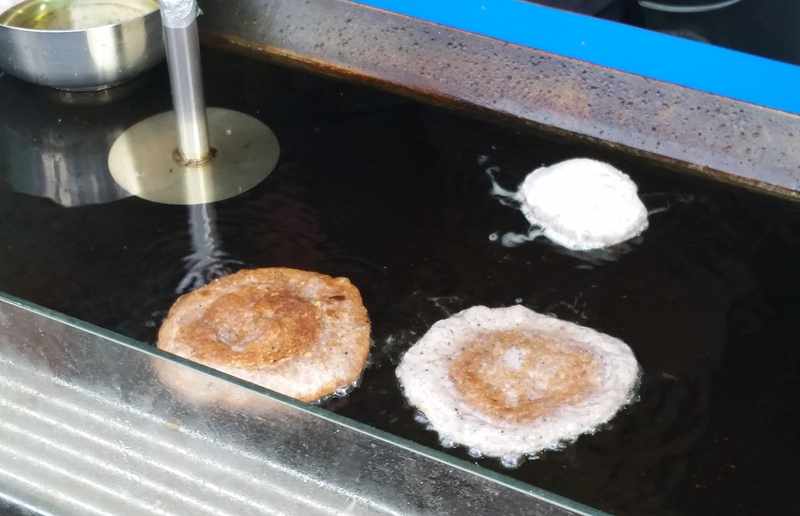 We found this little stall that makes millet seed sweet pancakes (수수호떡)! We thought that was really unique, so we all wanted to try one! 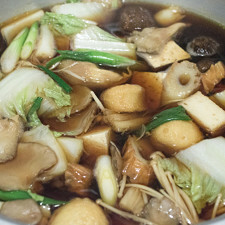 Here are the hotteok (호떡), at various stages of cooking. Delicious sugary goodness inside. Eat with caution, because you can easily burn your tongue. 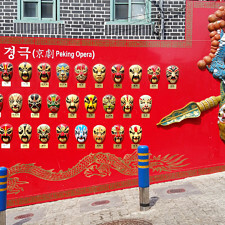 The alleyways in the food area were strewn with restaurants and food stalls. We distinctly remember one alley that’s dedicated to serving grilled fish, and other alleys that specialize in soups and stews. We went shopping in this area for a few hours, and then walked along Cheonggyecheon (청계천), a stream that cuts through this Downtown Seoul area. It was really nice to see that people were still appreciating the park, a decade after restoring the stream. 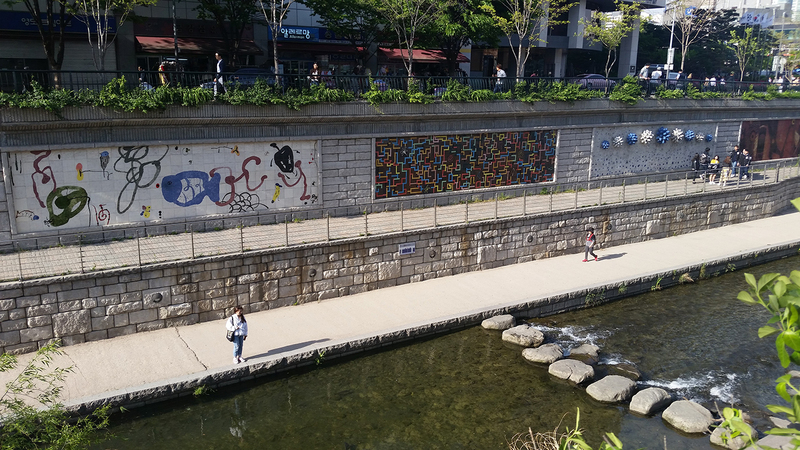 The view of Cheonggyecheon (청계천) adjacent to Dongdaemun Market (동대문 시장). On our way home, we found some walnut snacks to share! 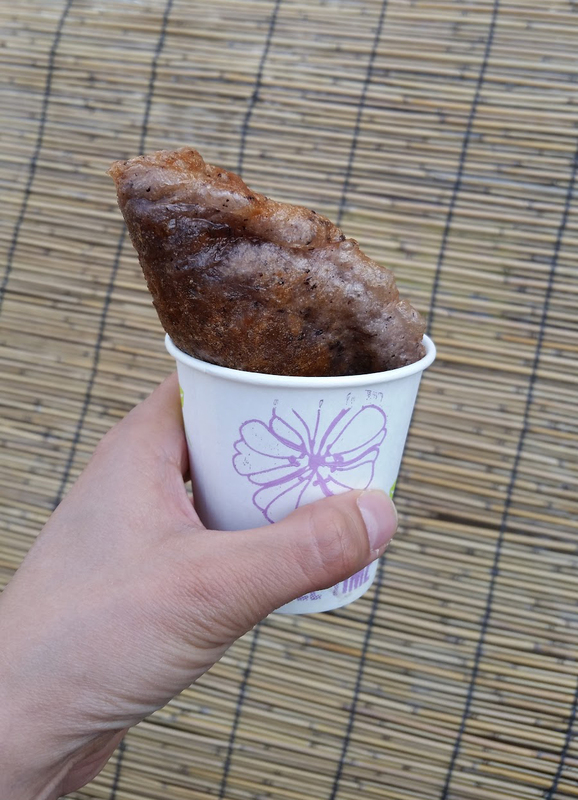 These are shaped like walnuts, with walnut pieces and red bean inside. 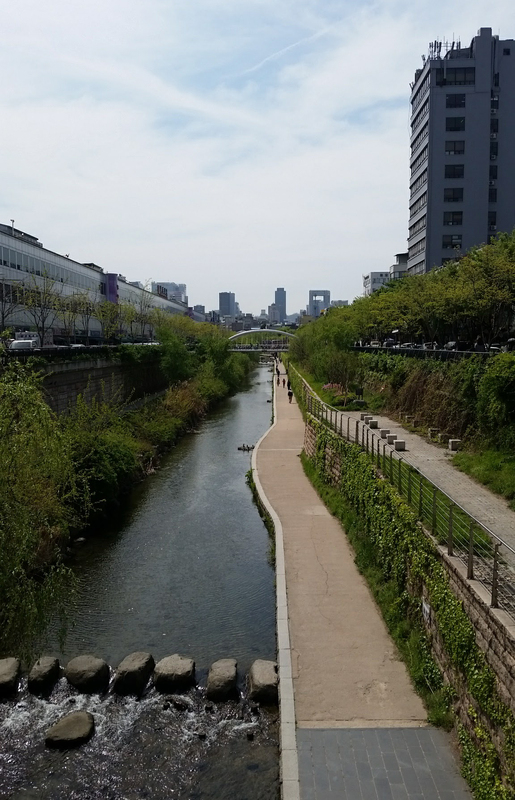 By the end of our Dongdaemun adventure, we went home, shared our day with our aunt and cousins, and rested up for our next adventure to another well-known market! Next time you’ll find us exploring Namdaemun (남대문) and Myeongdong (명동)! 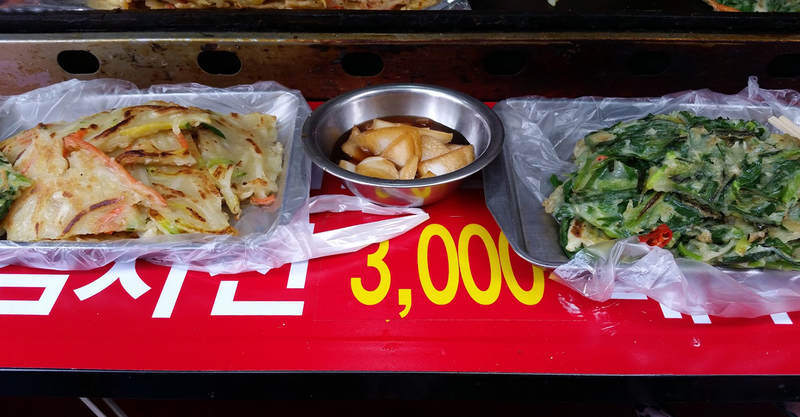 No thoughts on "Food Adventure in Korea – Our Second Week – Part One."